The envisionit tradition of serving a King Cake on Fat Tuesday started three years ago. 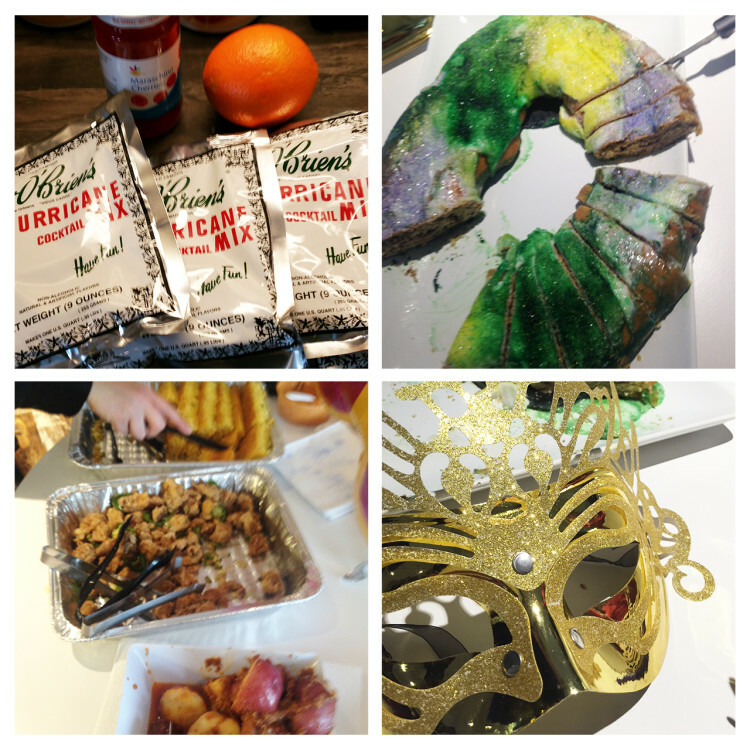 But this year we upped our Mardi Gras game, turning our break room into a festive explosion of purple, green and gold. And, of course there was an abundance of Cajun/Creole food. Huge thanks to Lowcountry, who supplied the most amazing spread of popcorn chicken, andouille sausage, corn, red potatoes and more—I challenge you to find a tastier cornbread in the city. Add a NOLA-inspired playlist, homemade jambalaya, hurricanes, and our King Cake flown in from New Orleans, and that’s what I call a celebration. 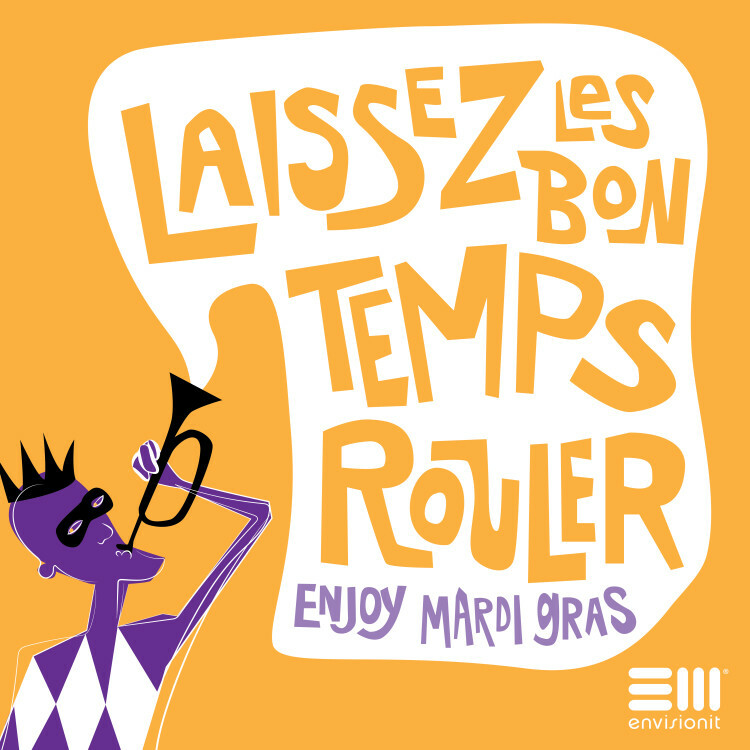 Fat Tuesday has come and gone, but if you’re still in the Mardi Gras mood like us, throw your earbuds in and give our party playlist a listen.